Bumped into this big guy during one of my walks this week, his name is Lester, 5 years old, 146 lbs, about 3 feet tall. He is a tourist. 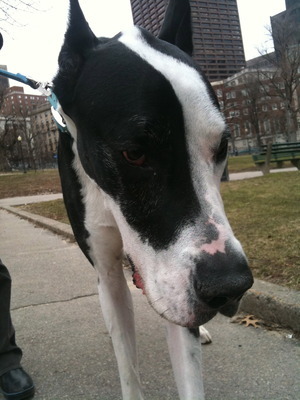 Don't get to see that many Great Danes around here, he is definitely one of the most handsome I have seen so far!